Every few months, my sister and I inevitably find ourselves debating which three cuisines we could eat for the rest of our lives if we had to choose. Typing it aloud makes the whole thing sound ridiculous since I can’t fathom a scenario where we would need to do so. But the debate is always interesting because our choices evolve as we broaden our food horizons. Yeah, we are food-obsessed weirdos. Although my sister and I tend to have wildly different tastes and appetites (I am always snacking while she is more regimented in her meal times), we both, without fail, rank Japanese in the highest position. 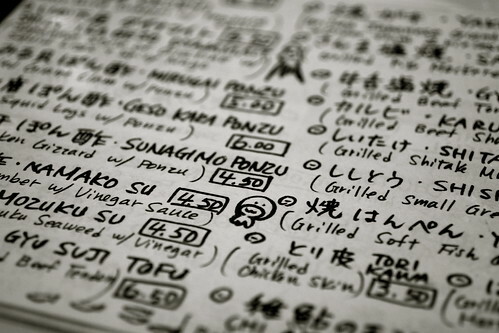 Japanese food has everything you could want. Raw. Fried. Stewed. Steamed. Grilled. Sautéed. The list goes on and on. The ingredients are handled with reverence. Precision is of the utmost importance. And the flavors and presentation are simple, but stunning. I don’t know how or when it happened, but Atlanta has accumulated quite the assortment of Japanese restaurants. People think San Francisco is rife with Japanese cuisine. But let me tell you something: I lived in San Francisco and it has nothing on Atlanta. My mind actually races with indecision when I have to choose a spot because there are so many options–Sushi House Hayakawa, Yakitori Jinbei, Shoya Izakaya, Taka, Tomo, Hashiguchi Junior and Nakato just to name a few of my favorites. We. Are. Lucky. And now, I found another Japanese spot to add to my rotation, Ege Sushi and Japanese Cuisine. 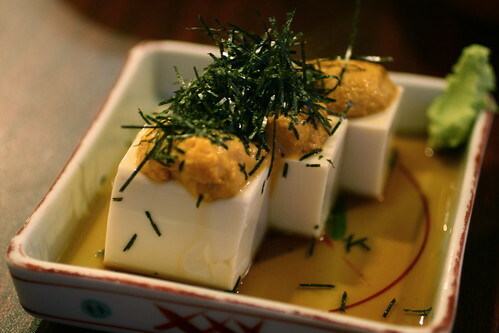 Uni over silken tofu with shreds of dried seaweed and a drizzle of ponzu sauce eaten with teeny tiny spoons. Creamy. Slippery. Tangy. Umami. Awesome. The chef had some butterfish on hand so he made us this sashimi since the fish special was sold out. 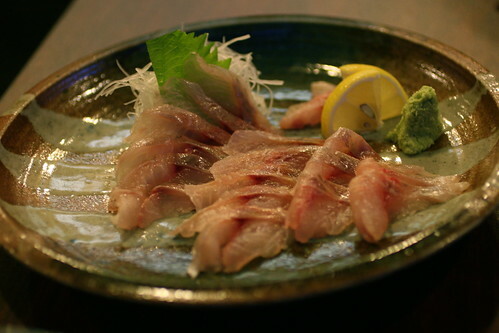 The fish is mild–think hirame/flounder–and it has a delicate texture, which means it practically melts on your tongue. Gorgeous. 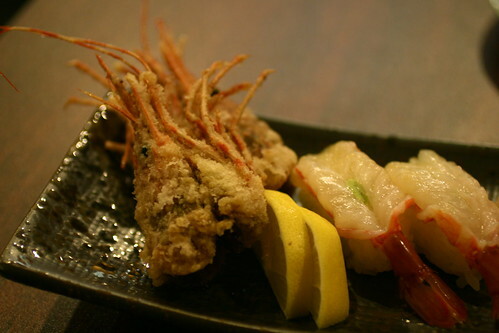 Mirugai (giant clam) tempura. I wanted three more orders of these crunchy and briny fat pills. But Moon gave me that “you’re eating with your eyes” look so I didn’t order any more. 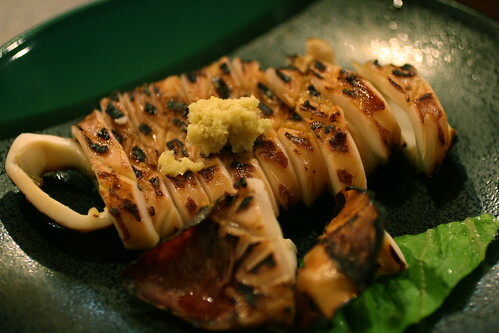 Ika-yaki: Grilled marinated squid topped with minced ginger, a popular street food in Japan. Insanely tender and the marinade was just salty and sweet enough. We had to try a little more sushi and the sushi rice (an important indication of skill when it comes to sushi restaurants). I chose the Amaebi (sweet shrimp) nigiri. Some people detest the texture of raw shrimp, but I love it Japanese or Mexican-style. Ege’s shrimp were very fresh and they customarily fried the heads, which are always brilliant against the slippery shrimp. 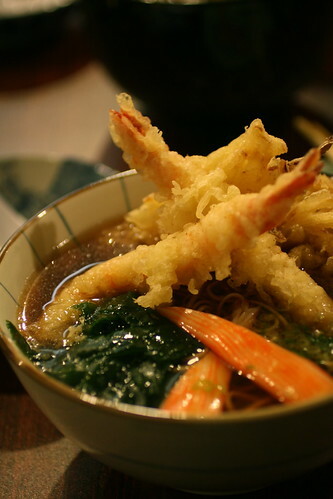 The only disappointment of the meal was my tempura soba. It wasn’t bad, but it certainly wasn’t something I can see myself craving like Yakitori Jinbei’s ramen. The broth has good depth, but the noodles were over-cooked and too thin for my taste. Moon had udon with duck, which also decent. But, again, nothing crave-worthy. Verdict: We had an great experience that left us smiling and full. The service was extremely attentive and the food was excellent overall. Not perfect, but enjoyable all the same. And Moon loved the frosty mugs of draft Sapporo. He deemed them “dangerous.” I imagine we’ll be going back again and again. It’s located off the same exit as Tasty China so it is a nice alternative if you don’t feel like driving to Buford Highway. I've been a long time believer in Ege sushi. I've had great meals at MF and I've had great meals at Ege. The meals at Ege were substantially cheaper while providing the same satisfaction. The fish is always beautiful, the rice is always firm and properly vinegared, and the execution is spot on. Jennifer, I love reading up your food finds!!! You're going to make me fat! Shrimp and squid on the way to the synagogue? A shanda fur die goy! "what would be XXXX that you could eat if you could only have XXXXX forever" is a standard question between my wife and I.
I think it's critical to know. 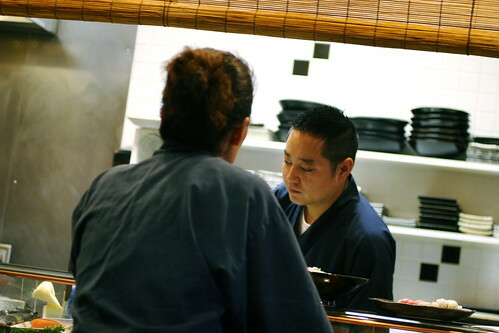 The sushi chef in the picture is T. Otsubo – AKA Andy Richter from AC. Say hi to him next time you go. Ege is and has always been a favorite. Crazy good fish. Here's to all the food obsessed weirdos. Great looking stuff, can't wait to try it. 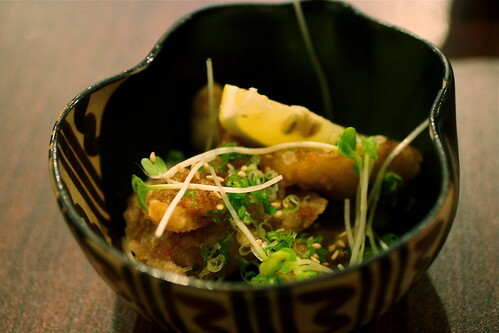 Have been a regular since they opened, don’t miss out on the best family run traditional Japanese restaurant in town.